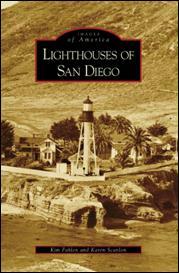 Lighthouses of San Diego presents a glimpse of the famous and lesser-known lighthouses of San Diego, thanks to the memories and photographs of men who kept the lights burning. In more than 200 vintage images, Lighthouses of San Diego is the new pictorial history and set of vintage postcards which will no doubt charm residents and visitors alike. Join the authors for a book signing! Saturday, September 6 at 2:00 p.m.
Kim Fahlen and Karen Scanlon are identical twin sisters who work together on lighthouse-related projects and volunteer at Cabrillo National Monument, tending its lighthouse lenses. Scanlon is an early-childhood educator and writer, and an award-winning freelance author of maritime history. Fahlen travels the U.S. and Europe photographing and studying lighthouses, with particular interest in their optics. Available at area bookstores, independent retailers, and online retailers, or through Arcadia Publishing at www.arcadiapublishing.com or (888)-313-2665. 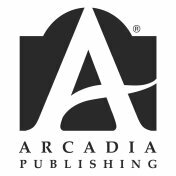 Arcadia Publishing is the leading publisher of local and regional history in the United States. Our mission is to make history accessible and meaningful through the publication of books on the heritage of America’s people and places. Have we done a book on your town? Visit www.arcadiapublishing.com.